AMMCO Combination Disc and Drum Brake Lathe has been professionals' first choice for more than 50 years--and for good reason. It's simple, it's fast, it's very precise, and like all AMMCO brake lathes, it almost never breaks down. 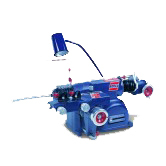 Bosch Brake Lathes...Faster. Better. 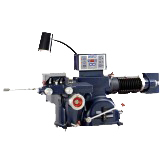 Stronger, their revolutionary brake lathes are designed with supreme accuracy to make operation quicker and safer. Bosch models incluce High Performance and Heavy Duty Brake Lathe, machining Centers. The Disk Aligner Servicing Disc Brake is a Compact, light weight and easy to use.